In both dry eye and blepharitis, the glands that secrete oily moisture to the surface of the eyes are clogged and inflamed. This is known as meibomian gland dysfunction, or MGD. 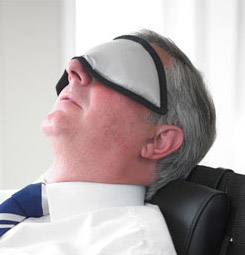 Methods to treat dry eye symptoms and blepharitis with artificial saline teardrops alone are not enough, since it is the oily layer from the meibomian glands that slows tears from evaporating too quickly. Eyelid warming is an effective treatment for MGD. 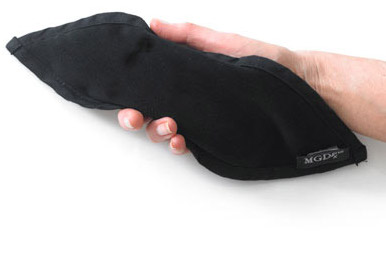 The EyeBag is a silk and cotton device filled with flax seeds which can be re-heated hundreds of times in a microwave, and was rated as much more effective than repeatedly heating a washcloth with warm water. 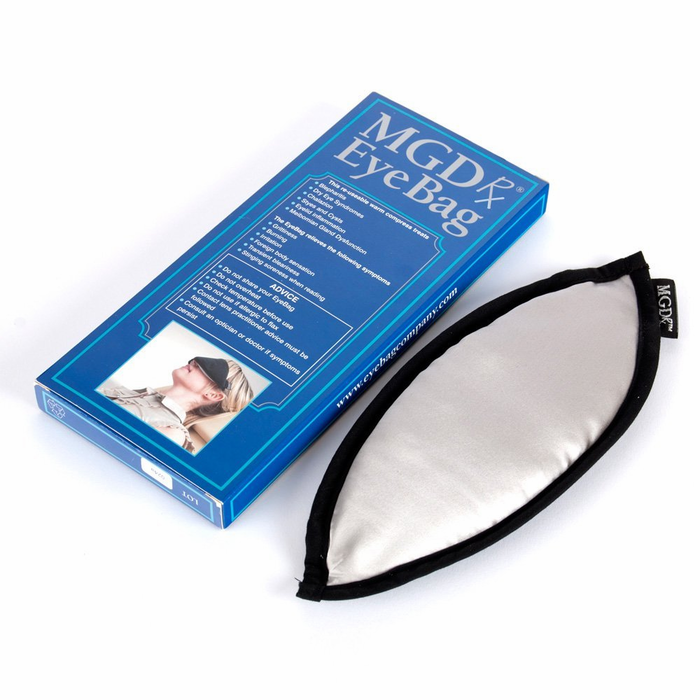 The MGDRx Eye Bag is a patented medical device in the United Kingdom. DUE TO STERILITY CONCERNS FOR ALL CUSTOMERS, THIS ITEM IS NOT RETURNABLE.